This post is sponsored by Save-A-Lot. All thoughts and opinions are my own. 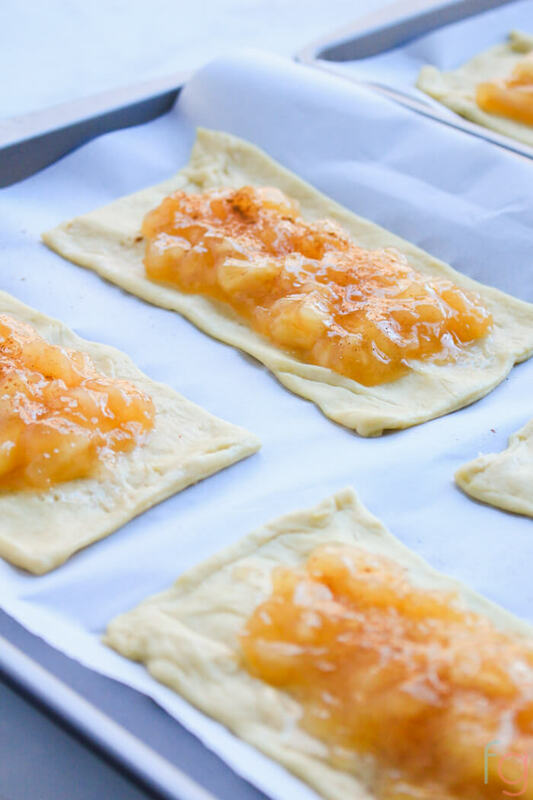 If you have a sweet tooth, you’re going to love this easy apple strudel recipe! 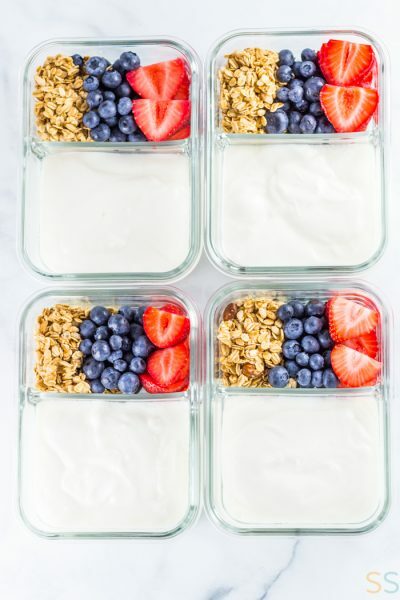 They’re perfect for breakfast or dessert. 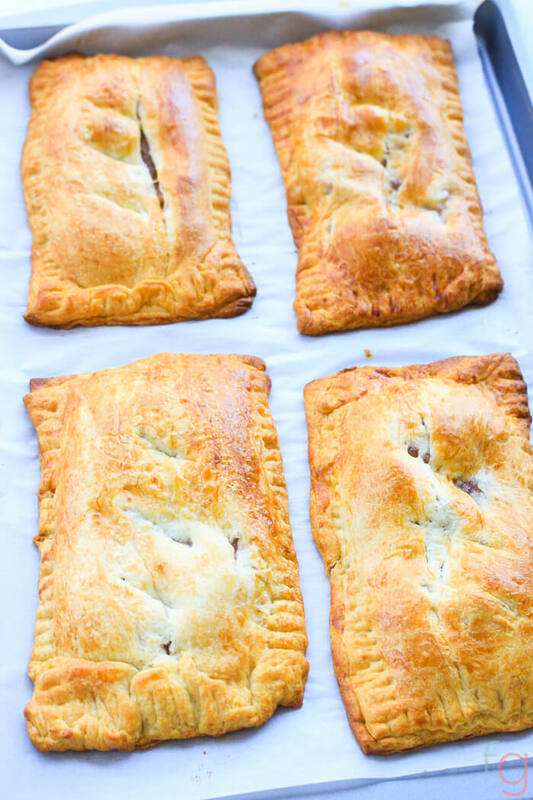 I really struggled with what to call these… mini apple pies (they’re actually pretty huge, so that was a no), or maybe apple hand pies, but they’re kind of a cross between a strudel and a hand pie, so I landed on strudel. Authentic strudel police, I mean no offense, so please don’t come after me. 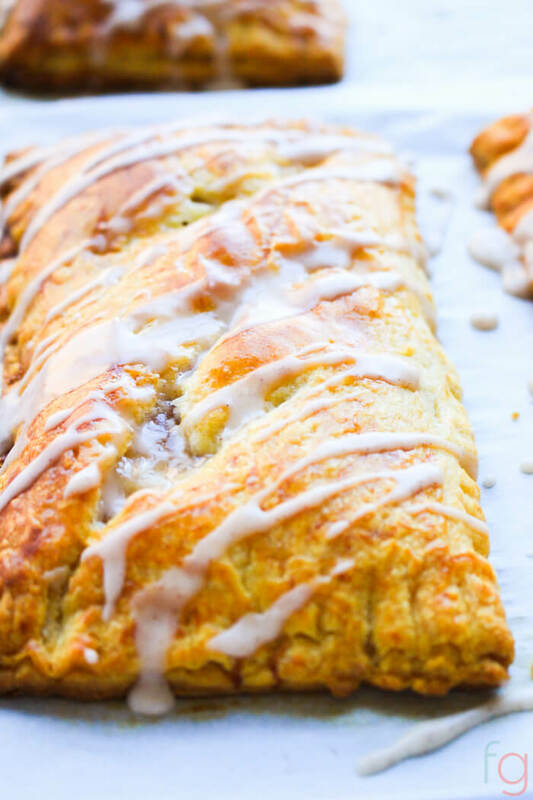 The outside is buttery, flaky and topped with a cinnamon icing, the inside has chunks of gooey apple pie filling. 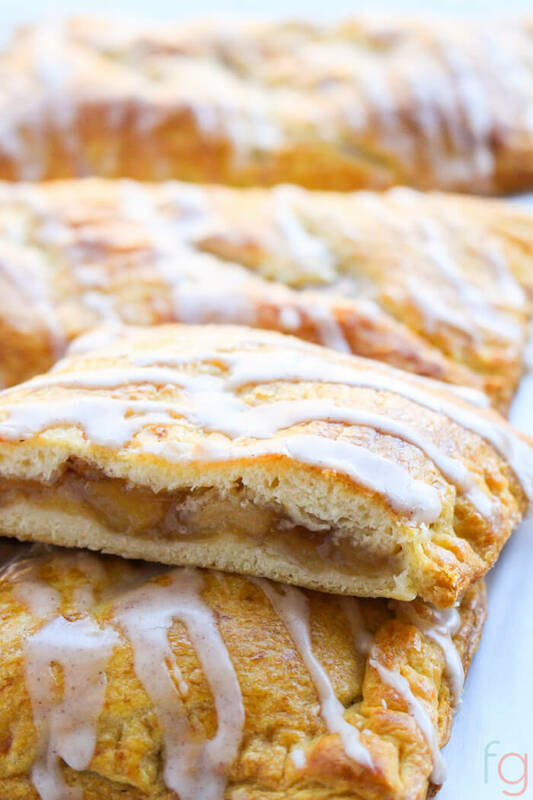 Basically, if you like apple pie, you’re really going to like these. 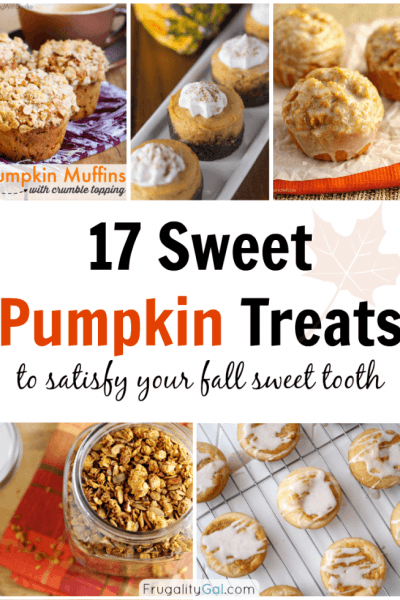 These are great year-round, but are even better during the holidays since you can bake these up the night before and they’re still great the next morning. 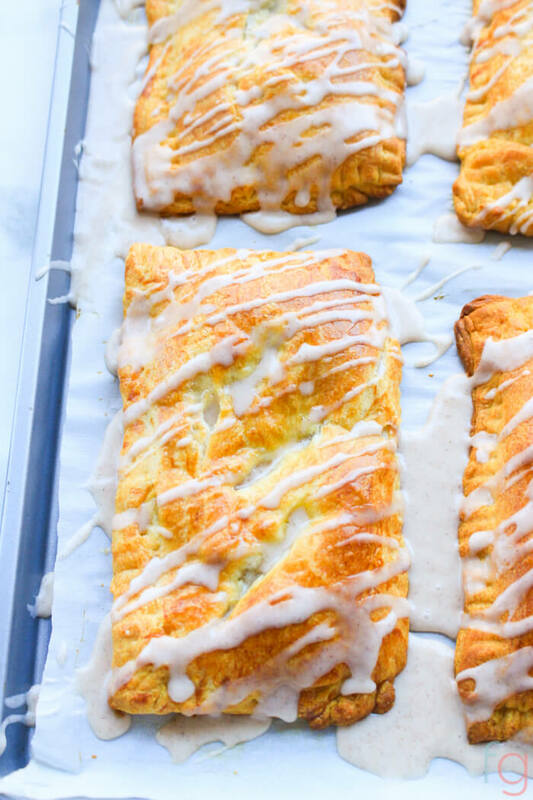 So if you’re hosting family for Christmas morning, make them the night before, pop them in the fridge overnight and in the morning you have a tray of apple strudels ready to go for breakfast! To save on time, I decided to use store-bought apple pie filling. But if you have a go-to apple pie filling, go for it! Cherry pie filling would be a good alternative to apple, just maybe leave the cinnamon out of the icing if you go that route. I picked up everything I needed for this recipe at Save-A-Lot. If you’ve never been, they seriously have great prices. Find the store closest to you here. 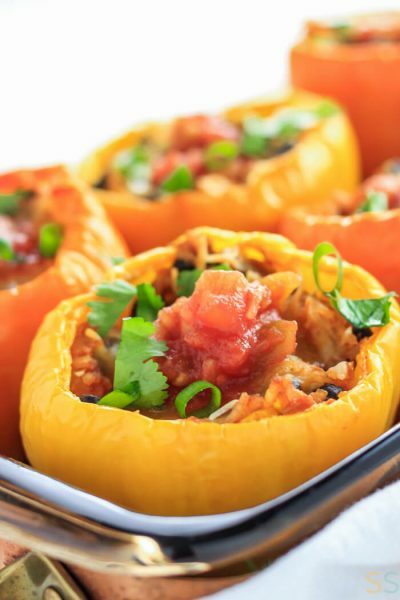 And be sure to sign up for the Save-A-Lot Smart Shopper Club so you can receive the latest specials and recipe ideas straight to your inbox! They’ve also provided me with two $25 gift cards to give to two lucky winners! Head over to instagram to enter the giveaway. 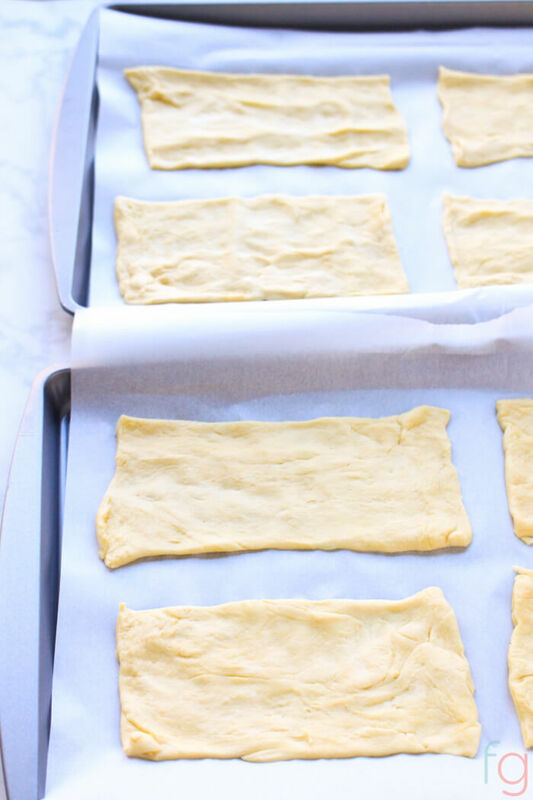 On a parchment-Lined surface, roll out 2 cans of crescent roll dough. Pinch the seams and edges together to create one continuous sheet. These will become the bottom pieces. Repeat again with two more cans of dough to create the top pieces. You should have two large, separate sheets of dough. Use a pizza roller or knife to cut out 8 to 10 rectangles from each sheet. I cut out 8 and mine were about 5” long and 3” wide, and they were pretty large. Cut off the excess dough and set aside. Place 4 rectangular pieces on each parchment-lined cookie sheet (they’re easier to pick up if you roll them slightly from the bottom into your hand), leaving about 2 inches of room between each one so you have room to crimp (mine were a bit close, so you want more room between them than I show here). 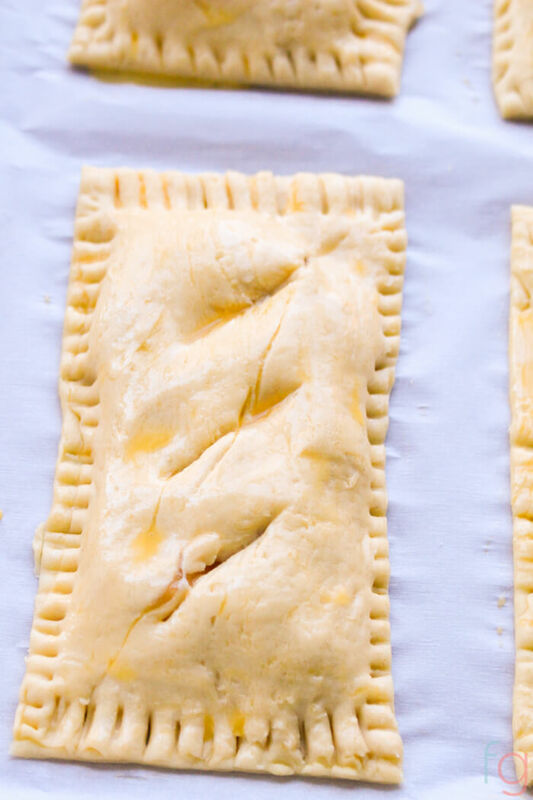 Use any excess dough to patch up any rectangles with holes or misshapen edges. 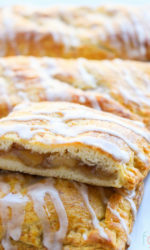 Use a fork to cut the apple pie filling into chunks, then scoop about 1 or 2 forkfuls into the center of each piece of dough, forming a smaller rectangle. Leave about 1/4” inch unfilled around the edges in order to seal the pies. You can sprinkle a bit of cinnamon on top of the filling if you’d like. Cover with another rectangle, and crimp edges with a fork. Use a knife to clean up any extra long crimped edges, this mainly happens around the corners. Make three small diagonal slits on top of each pie. In a small bowl, beat egg and water together. Brush lightly over pastry (most of it will be left over, we just want a light coating over each piece). Bake for 13 to 15 minutes at 375F. Remove from oven and allow to cool completely. To speed up cooling, let sit on counter for five or ten minutes, then place in fridge for about 20 minutes. Now for the icing which is really simple. 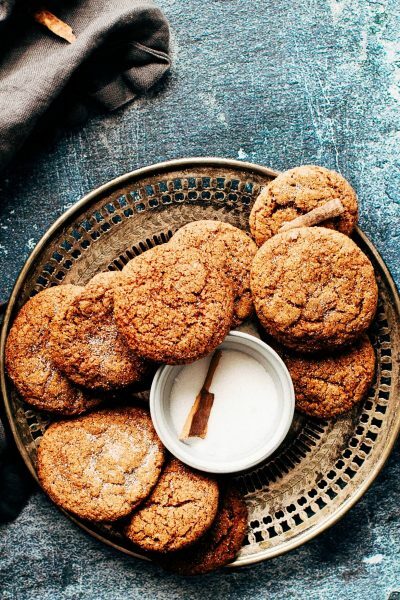 In a small bowl use a fork to mix powdered sugar, milk, vanilla extract and cinnamon together until smooth and thick. Add a bit more powdered sugar if it’s too runny. 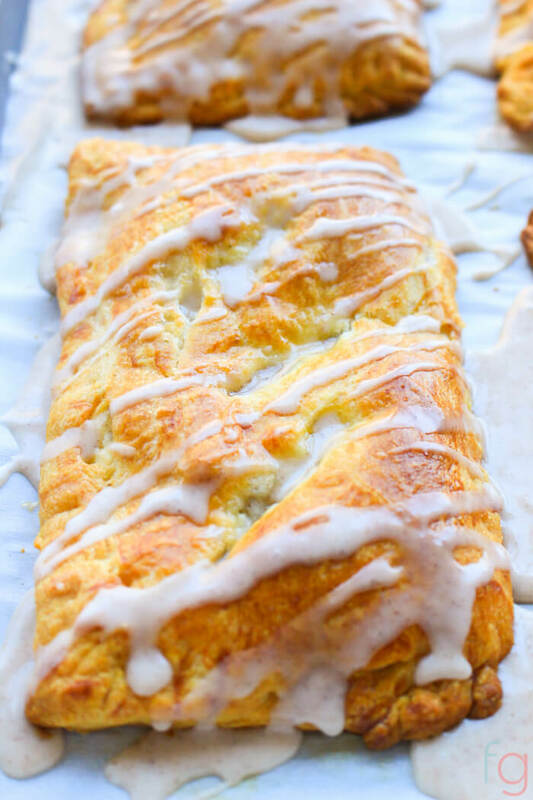 Use a fork to diagonally drizzle icing over the strudels. As you can see, I made a huge mess with the icing, but after it hardens, the pooled icing on the bottom comes right off once you pick them up. You can also ice these on a cooling rack if you want to avoid this altogether, but it’s definitely not necessary. Serving suggestion: Best served warm, microwave for about 15 seconds before serving. 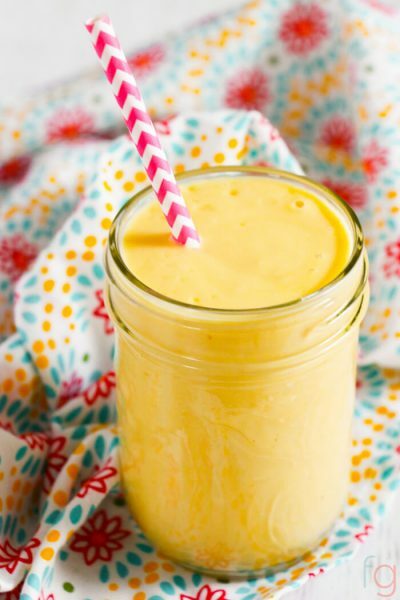 Goes great with coffee or tea! On a parchment-lined surface, roll out 2 cans of crescent roll dough. Pinch seams and edges together to create one continuous sheet. These will become the bottom pieces. Repeat again with two more cans of dough to create the top pieces. You should have two large, separate sheets of dough. Use a knife to cut each sheet into 8 to 10 rectangles (mine were about 5” long and 3” wide). Cut off excess dough and set aside. Line two large cookie sheets with parchment paper and place four rectangles on each sheet (or five to a sheet, if making 10 strudels), leaving about 2 inches of room between each rectangle. 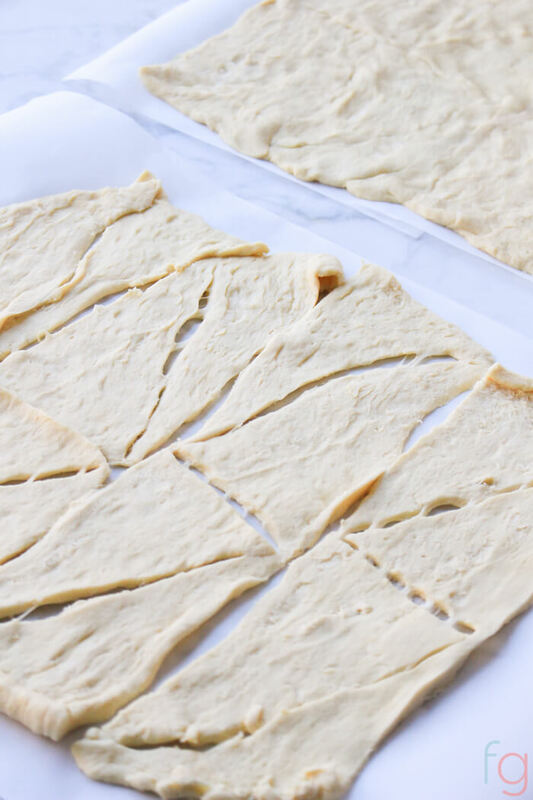 Use excess dough to patch up any rectangles with holes or misshapen edges. Use a fork to cut the apple pie filling into chunks. Scoop 1 to 2 forkfuls into the center of each bottom piece. Leave about ¼” unfilled around the edges (Optional: Sprinkle filling with a bit of cinnamon before closing). Cover with another rectangle, and crimp edges with a fork. Use a knife to clean up any extra long crimped edges. Make three small diagonal slits on top of each piece. Bake for 13 to 15 minutes at 375F. Remove from oven and allow to cool completely. Icing: Use a fork to mix together powdered sugar, milk, vanilla extract and cinnamon in a small bowl until smooth and thick. Add a bit more powdered sugar if too runny. Once strudels have cooled, use a fork to drizzle icing diagonally over the pies. Allow icing to harden. Then enjoy! 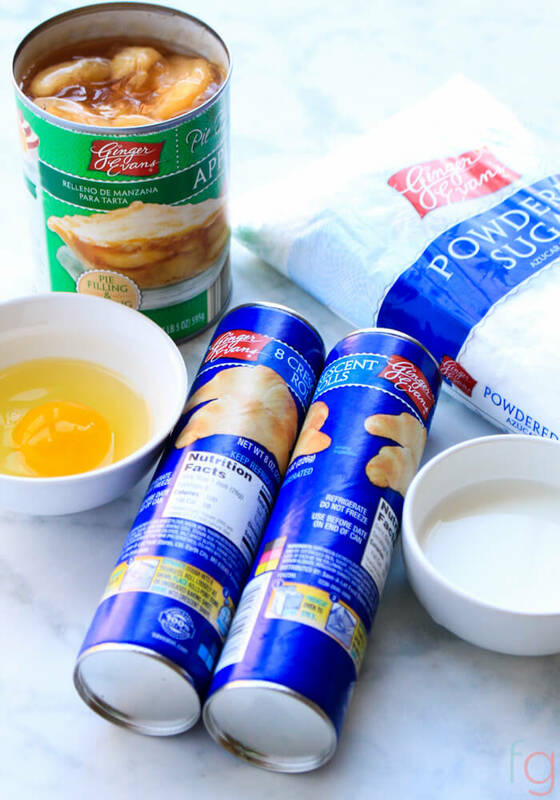 Note: There are (4) 8oz cans of Crescent Dough used. To make the calorie counter has me breaking them out this way and I don't want anyone to be confused. To make the amount shown, you will need 4 cans!